Home Beauty & Style Beauty Beverages – Can they Really make a Difference? In the recent years, so-called “beauty beverages” have invaded the market. Many of them claim to be powerful skin perfecting potions and effective anti-aging serums, although things are not that simple. A recent market research targeted 300 food & drink products that argue to have “functional beauty benefits”. But do they actually work? Can women believe that they can look and feel beautiful by consuming beverages? 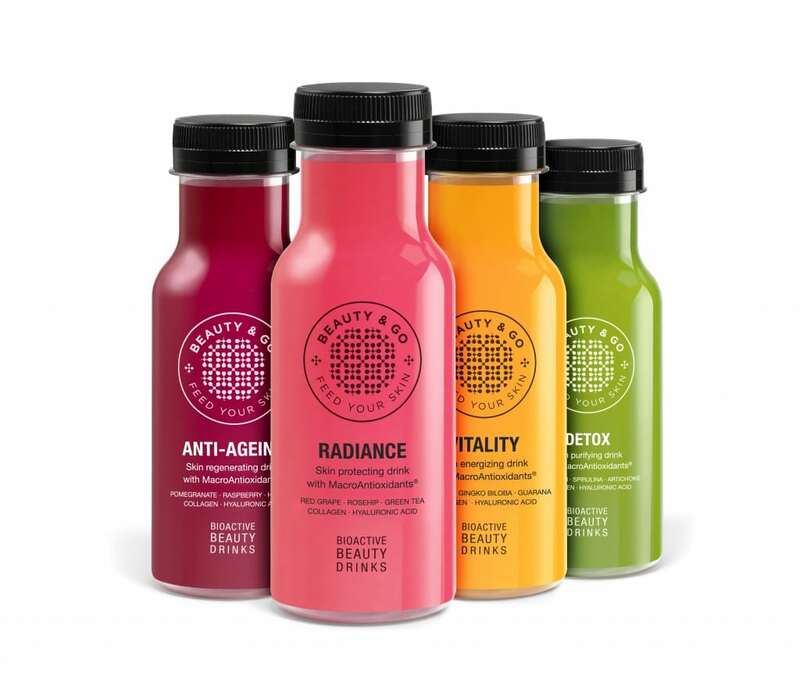 What exactly are “beauty beverages”? Beauty beverages are in fact vitamin drinks. They contain botanicals and amino acids with antioxidant properties. Did you know that all these benefits can also be obtained from food? That’s correct; just because the market over-advertises these beauty drinks it doesn’t mean they’re revolutionary diet products. By drinking them you get a vitamin boost, however not all of them are good for the health. We live in a world packed with workaholics. Most people don’t have time to eat properly so they turn to supplementation to stay energized. “Beauty drinks” are in trend, and some of them are ideal boosters to keep you on your toes for 10 hours a day. How does a beauty beverage work? Even though “beauty beverages” claim to be efficient nutritional boosters, nutritionists have mixed feelings regarding their real benefits. In an ideal world, people would adhere to a healthy diet full of lean protein, fruits, vegetables, whole grains and healthy fats like vegan omega 3 and omega 6; but because there’s no such thing as an ideal world, we are compelled to supplement our bodies with artificial supplements to keep it healthy and away from disease. Supplements must be regarded as a back-up plan, and one should never replace food entirely with supplements. Vitamin drinks may be efficient but they don’t contain adequate doses of vitamins that the body needs to stay strong and healthy. In fact, many of these wonder beverages contain preservatives, sweeteners and emulsifiers; all these artificial ingredients can’t have a positive effect on your body, particularly since they’re not very good for the digestive system. “Beauty beverages” are in trend right now, and because they’re being overly advertised they’ve attracted a lot of bad reputation. Many associate vitamin drinks with fitness supplements, which is wrong. Sadly, people are extremely easy to influence. We’re often compelled to believe things that are not true, just because we read somewhere that someone purchased something that was not good. In some ways, vitamin drinks can help. They work best by filling in the gaps. For example, if you work from 9 to 5 and you don’t have time for lunch, it’s ok to have a protein shake to keep your hair, nails and bones in good condition. Furthermore, drinkable supplements are an excellent way of treating the skin. They contain many essential vitamins that our complexion needs to stay properly hydrated. There’s no secret that bad dieting triggers severe health conditions. One of the most visible signs of a poor diet is unhealthy skin. Apart from breakouts and zips, your body gains fat and your skin sags; it loses elasticity, glow and it may even start to crack. To avoid this from happening, you must redirect your attention towards supplementation. Bottled beauty drinks may help, but it’s still necessary to cut back on your bad carbs and work out more. Also, one must not confuse beauty beverages with water; they’re not the same and even if you consume vitamin drinks you still have to drink at least 8 glasses of water per day to restore your skin’s vigor and elasticity. There’s no exact recipe to general beauty. In general, women who want to feel and look like a million dollars must be willing to make some sacrifices. First of all, they should pay more attention to their lifestyle. Include more fruits and veggies into your diet and give up refined sugar because it is a damaging ingredient for your skin. If you choose to turn to “beauty beverages” make sure to select an authorized brand. Consult with a nutritionist and he will advise you which products are worth buying and which can do more harm than good to your health.